My third thought when reading that sign was that it is amazing that in 2015, in a developed country where fresh, clean water is plentiful, 100% compliance with hand washing in a hospital isn’t a given. 95%? Really? Yikes. I’d hate to be the patient who gets to be treated or fed by the 5% who didn’t wash their hands. In 1847, Ignaz Semmelweis discovered that the simple act of washing hands prior to birthing babies decreased mortality rates by 90%. Just that one simple act. 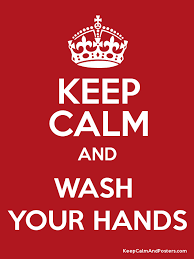 Since then (or at least since Semmelweis’ death, given doctors didn’t believe his assertion while he was alive), the World Health Organization and medical professionals have touted proper hand washing as the single most effective way of reducing health care-associated infections and incidents of flu, and of generally staying healthy. In light of this, it’s amazing that there is even hesitation in doing something that we know is good for all of us. Did I mention sleep? 7 to 9 hours per night are needed so that we can be productive and safe and even stave off aging, but many of us frequently give up sleep in order to watch a marathon session of Orange is the New Black on Netflix, to scroll through images of people’s dinner on Instagram or to catch up on the million errands that never have an end. We are a nation (or nations) of walking zombies because we’re too tired to set the right priorities on our health and well-being. So how can we enhance our well-being? 1. Measure it by the numbers: 20 seconds of hand washing, 30 minutes of exercise, and 7 hours of sleep can do more for our overall health than most of the more expensive and time-consuming alternatives. Just think about how much money our health care system could save if we all just followed these few simple ideas. 2. Take time to take care of yourself. We trade our sleep or other simple health initiatives for other priorities, but if you don’t make time to take care of yourself now, how will you find time to take care of yourself if you’re sick? 3. Think positively and practise gratitude. A positive attitude helps build a healthier immune system and boosts overall health and studies show that happiness is related to feeling grateful for what we already have. People who keep a gratitude journal, writing down 3 things a day or a week that they are grateful for, feel better and tend to be more optimistic about their lives as a whole. Now to convince the other 5%. * More than 30 minutes is required for weight loss or for preparing to participate in athletic pursuits such as marathon races and competitive ballroom dancing, but for general overall health, 30 minutes does it.